Hello everyone. I’m back. It’s been a while since I’ve blogged; I’ve been busy with school, dance, and gymnastics. It happened about 14-billion years ago. That’s a long, long, long, long time ago. Basically it is what started our universe. It started as a rock and then exploded when it got super hot. Then, it cooled down and formed planets, stars, and even life. 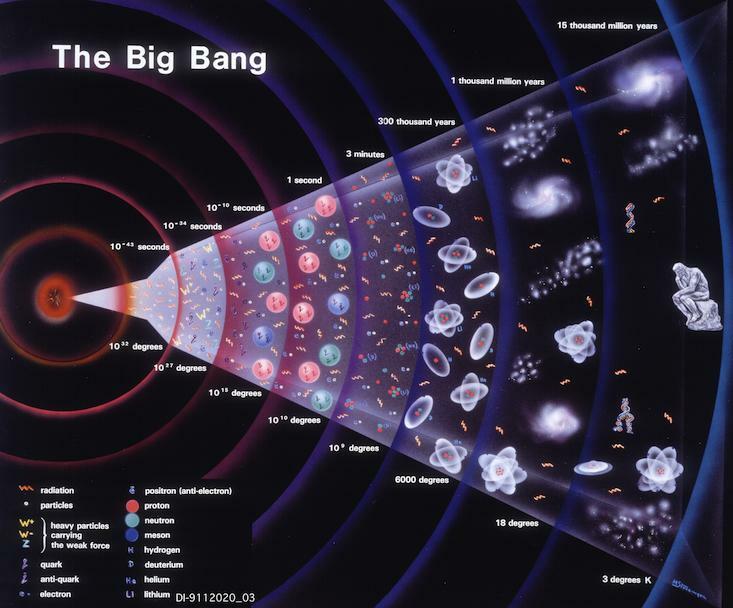 If it wasn’t for the big bang, you wouldn’t exist. One of Emma’s favorite books! 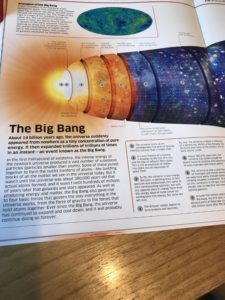 Here’s the thing, the Big Bang isn’t done banging yet. It keeps expanding and will keep expanding forever. Sometimes when I think about space, it makes me wonder what is out there. What do you think is out there? Bye, and have a great Sunday. Hi Emma! 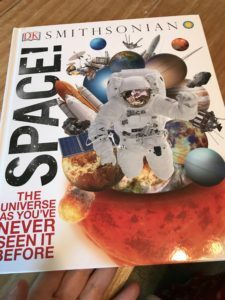 I love your blog, and I think space is super cool, too. I bet you didn’t know that your great-uncle Bob, my dad, helped train the Apollo 12 astronauts back in the 70’s, when he worked for Bell Aerospace. They were using equipment that he helped develop. His job wasn’t always as exciting as that, but he never forgot Apollo 12. Keep writing, and give my love to your family.